Joseph has a formidable record in successfully negotiating settlements and achieving positive results for his clients, avoiding costly and lengthy litigation. He frequently advises in cases involving assets and individuals located in other jurisdictions. 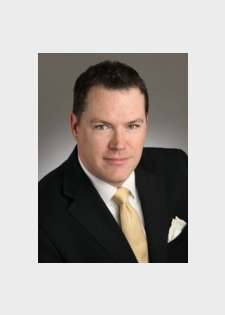 He is experienced working with clients, lawyers and other parties both in the United States and overseas including Bermuda, Turks & Caicos Islands, Australia, Europe and the United Kingdom. Joseph makes regular media appearances on television and in newspapers, speaking about estates matters and providing an expert perspective on issues of the day. Joseph’s practice also includes civil and tax litigation including administrative and regulatory law matters, and consumer protection. Joseph regularly appears in the Superior Court of Justice on behalf of clients and as a barrister agent on behalf of other lawyers and law firms. He has also worked as both a tribunal adjudicator and administrative law prosecutor. Joseph’s wide-ranging professional experience includes serving as Crown Counsel with the Ministry of the Attorney General, advising on family, civil, and estates law matters. He was also involved in the development and implementation of a number of key justice system and family court reforms, including amendments to the rules of court. The wide breadth of Joseph’s legal experience includes extensive dealings with public sector agencies, organisations and ministries such as the Ministry of Consumer Services, Citizenship and Immigration Canada, the Canada Border Services Agency, and the Public Guardian and Trustee. Before entering the law, Joseph undertook doctoral studies and taught for nearly a decade at the University of Toronto. He was awarded an M.A. from Queen’s University and a B.A. (with first class honours) from Dalhousie University, followed by his law degree from the University of Victoria. While at law school, Joseph gained a valuable and unique global perspective by completing part of his degree at Utrecht University, Faculty of Law in the Netherlands. Joseph Gyverson is acting for me on multi-jurisdictional probate matter. I find he has an amazing ability to distill complex points into easily understandable submissions, which have proved very effective indeed.